Growing up in the Gulf South, crabs were plentiful and inexpensive, but the investment was one of time and meticulous attention. I knew how much work went into extracting all those tender lumps from the shells, so I valued going to a restaurant and having the work done for me. 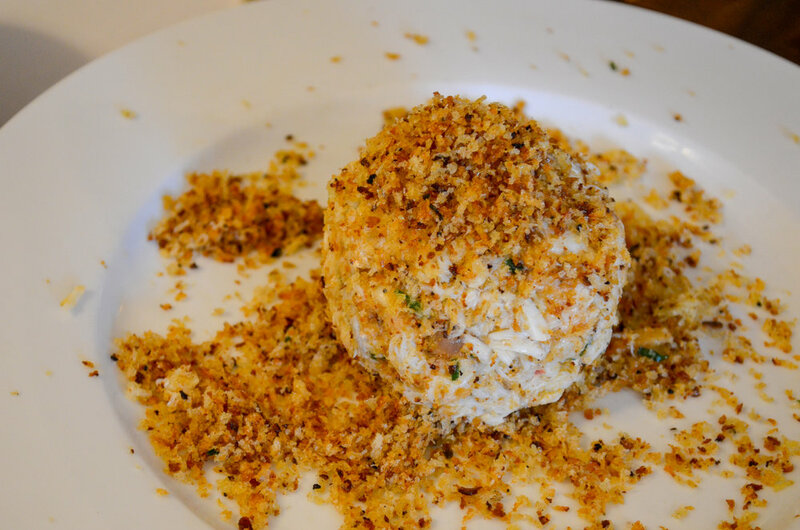 Crab cakes were ubiquitous in New Orleans, but it was the cake part that bothered me. I had the idea for the Crab Canapé at French Grocery to highlight the real stars: crab and butter. At first it was served as an individual portion on a toasted round of baguette, hence the name canapé . We quickly realized that one piece of toast wasn’t enough, so eventually we began serving it in a pool of sizzling butter with plenty of toasted baguette on the side. This was our most popular dish at the restaurant. I remember a couple who would come in right before closing and share the Canapé, even after they had already eaten their supper at home. I suppose if anything can compete with dessert it’s crab meat in sizzling butter. 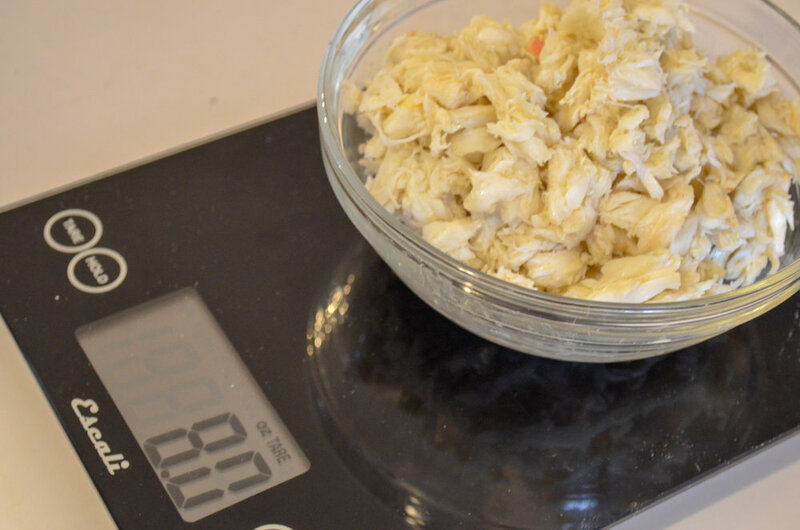 If you’re not near the coast and don’t have access to fresh crab, lump crab meat is often found canned and pasteurized in the refrigerated section of the grocery store. This fully cooked product is quite good, but it’s worth going through the meat once more before cooking to remove any stray bits of shell. Preheat oven to 400 F. Clean crab meat to ensure there are no shells. 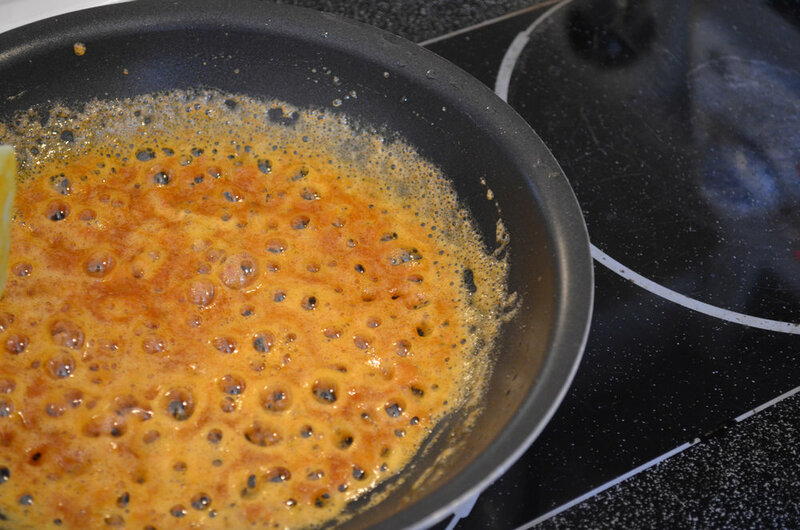 Sauté the minced shallot in 1 tbsp of butter in a small pan over medium heat until translucent and soft. Add creole seasoning to shallots and stir. Increase the heat and add the brandy. Carefully ignite the evaporating alcohol to flambee (optional). Cook until flames die down or the alcohol has completely evaporated. Add 1 tbsp of butter, allow it to melt, and then add 1/8 cup of flour. 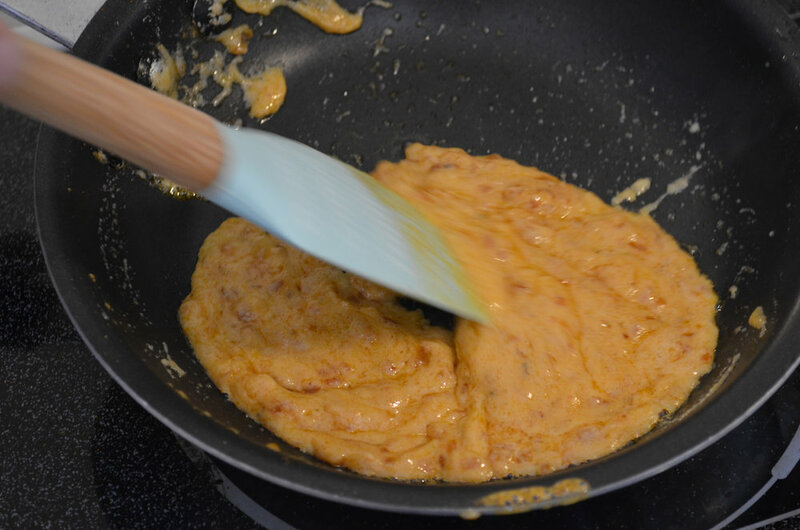 Stir to combine and form a thick roux. Add ½ cup whole milk and cook until béchamel thickens. Remove from heat and combine mixture with crab meat and 1 tsp of kosher salt, folding gently to not break up lumps of crab. Divide the crab mixture into 2 domed portions. Combine the breadcrumbs with the minced garlic. Roll the canapes in the toasted breadcrumbs so that the surface is covered. Use only enough breadcrumbs as you need to cover the canapés. Canapés can be prepared ahead of time and stored in refrigerator at this point. 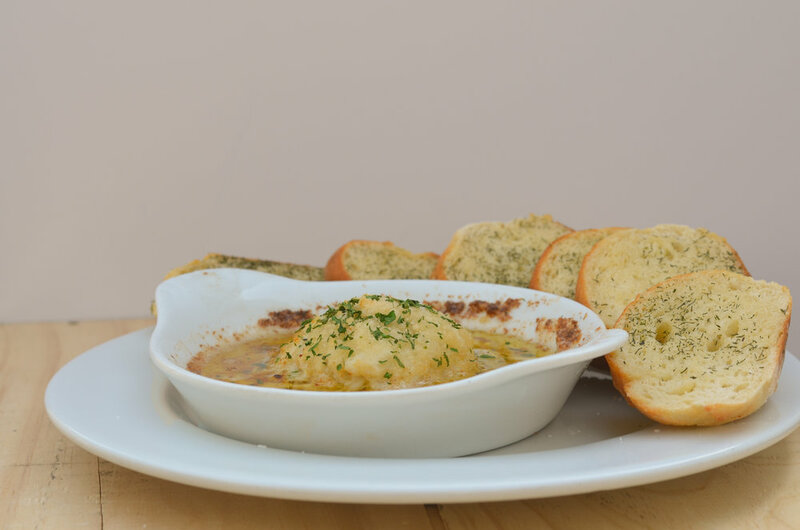 Place canapés in gratin dishes and surround them with the remaining 6 tbsp of butter, 3 tbsp in each dish. Bake in a 400 F oven for 12 minutes until butter is sizzling and browned. Serve with toasted baguette and garnish with shaved chives.